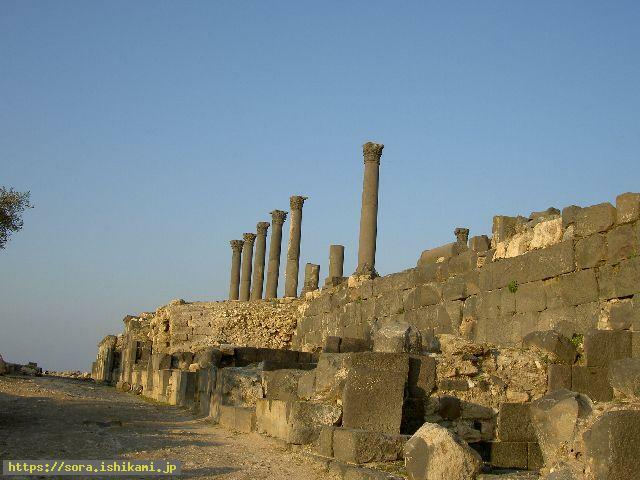 It is in the town of north-eastern part of Jordan. It is near the border between Israel and Jordan. 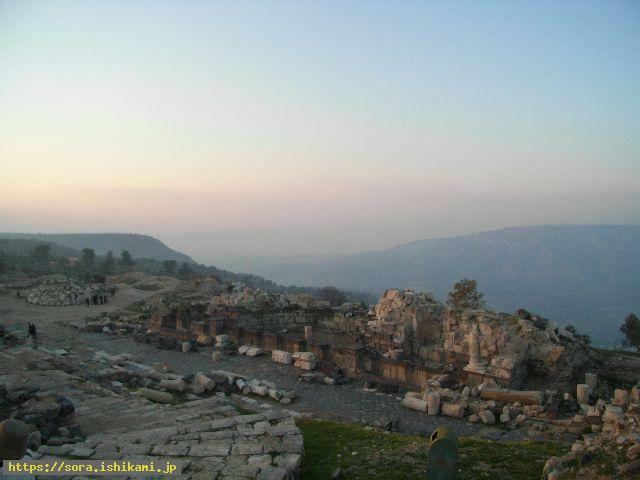 It situates on the hill from which people can view Golan Heights and Sea of Galilee. There are remains like the theater, the church, the bathhouse, and so on. 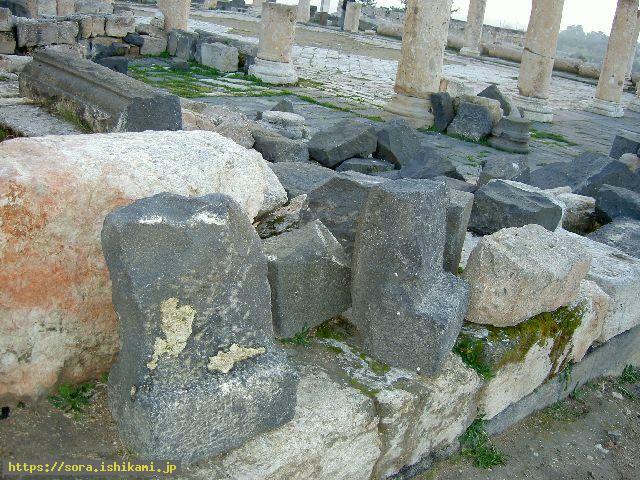 Stone gods here turned into the chair-type black stone of their own accord in order to inform that the star of Chair seat would cause the conflicts betweem Israel and Islam. Black stone pillars stand out. They are the Stone humans who were kind enough to warn us by turning into the nasty black of their own accord. 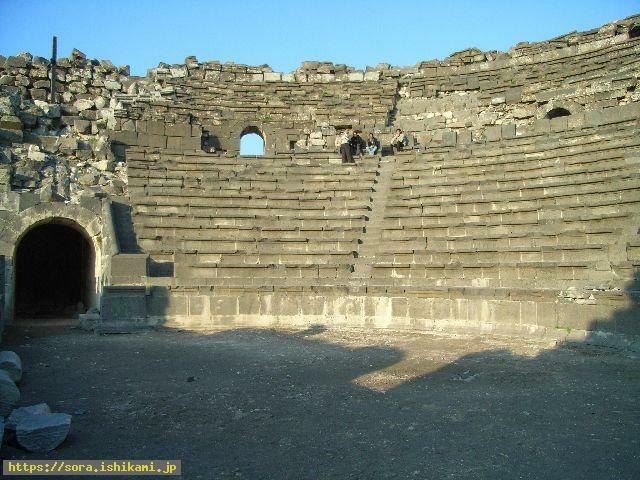 This ruins is still the Roman type one with theatrical-type building and stone pillars. Many of the stones are black as Stone humans warned humans by turning into the ugly black stones of their own accord. They warn that humans would be caused the conflicts by the star of Chair seat. They say people can see Sea of Galilee and Golan Heights which was the hard-fought field of Arab?Israeli conflict when it is fine. However Stone gods who felt sad made the sky hazy when I went there. 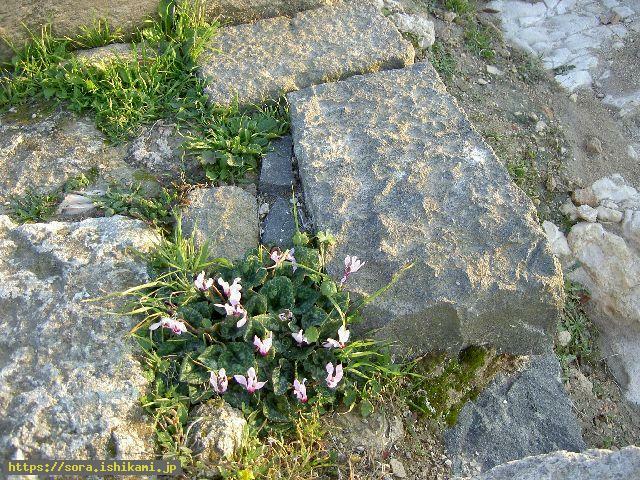 They are the cyclamens which grew on the black marble and they are looking down. I feel like crying when I see this ruins and I think of the thoughts of Stone gods.